The other day, an article from a popular motherhood blog came across my Facebook feed after a friend of mine commented on it. It was one of those “open letters” that are really just thinly veiled excuses to rant. They’re everywhere: questionably authentic encounters used to spout off and incite controversy for pageviews. Normally, I would have rolled my eyes at the obvious clickbait and kept on scrolling. This time, however, I got sucked in. The title was something like, “What I Wanted To Say To The Mom Who Threatened To Spank Her Kid But Didn’t Because I’d Rather Exploit Her Struggle For Clicks.” You get the idea. It rubbed me the wrong way, and it wasn’t really even the subject matter. It’s no secret that people don’t like spanking, and I’m not going touch it with a 39 ½ ft pole in this post. I like to avoid being burned at the stake, thank you very much. No, what irritated me so much about this particular article was the tone. In it, the author recounts a whispered threat of a spanking she witnessed on a probably invented trip to Starbucks. She proceeds to lecture the offending mom like the misbehaving toddler in her story. How dare you use violence to control your helpless angel? You’re scarring him for life. The only reason he’ll obey you now is because he’s cowering in fear. I will not stand helplessly by while you abuse your poor, innocent child. Et cetera. I can pretty much guarantee you that what this woman witnessed was a struggling mom. No one I know attempts to discipline their child in public unless they are desperate. We’re usually faced with a nearly impossible choice: let the misbehavior go and risk being seen as negligent, or attempt discipline and risk being seen as abusive. And, for the record, I’m not necessarily talking about spanking here. Whether you’re giving a reasonable explanation for why you’ve just said “no”, putting your toddler in the cart basket because he keeps running away from you, or maybe even giving a time-out, it’s nerve-wracking when you’re in public. Avoidance doesn’t work either, because even parents have to leave the house for Costco sized bags of coffee and dinner out once in a while. But the thing is, this blog post author had the audacity to claim she penned her shamelessly self-serving missive because, you know, she was only doing her part in the village tasked with raising that child. Excuse me? You think that watching over other parents like the NSA, waiting to pounce on something you disagree with is being part of their “village”? You witness one tiny snapshot of another mom’s life and feel entitled to condemn her before the entire internet? That is not being a part of someone’s village. I don’t care how much you hate spanking, humiliating someone else for your own personal gain is not helping them. 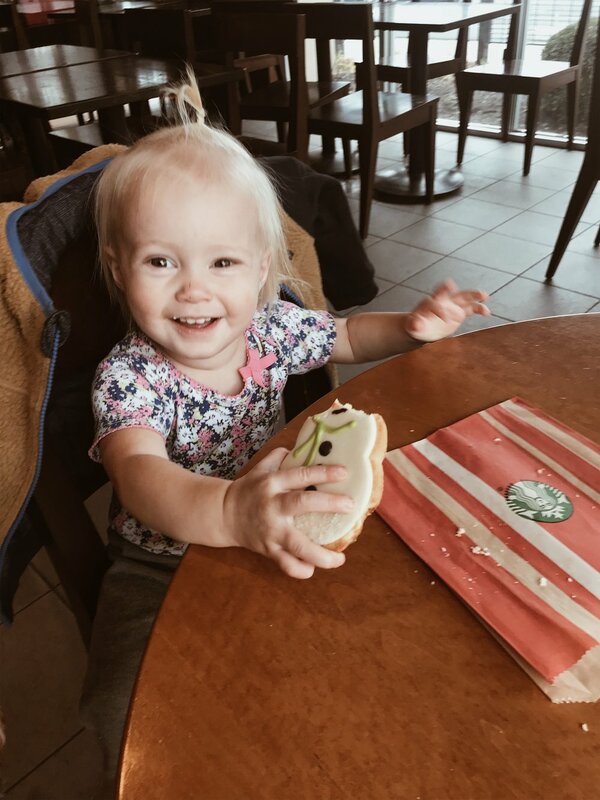 As a mother of dragons (ahem, toddlers) myself, I can testify that we all have our less-than picture perfect moments, some of which unfortunately happen in public. Kids don’t care that you’re in church, or the middle of Target, or crossing the street; they are going to behave like kids, which means acting out on occasion. And, no matter how great of a mother you are, sometimes you slip up and handle your kid’s misbehavior in a less-than-ideal manner. How does lying in wait to expose someone’s mistakes help anyone? Do you want to know what being a part of my village actually looks like? It’s the husband who is there, day in and day out, wiping butts and brushing teeth and cooking dinner (not necessarily in that order). It’s the friend who swaps childcare, so we can both spend some solo time out of the house. It’s the grandparents who reassure me from hundreds of miles away over FaceTime. It’s the friend who suggests an afternoon out together, who makes time to see me on her cross-country visit home, who drives across the state just to visit. It’s certainly not using my weak moments for your own personal gain. So, if we really want to change the world of parenting, we should be a bit more concerned with what happens before that meltdown in aisle 6 of the grocery store. I can tell you from experience that counsel from a friend helps a lot more than condescension from a stranger. Maybe this looks like telling someone what works for you when they ask for advice. Maybe it’s sharing that book that was really helpful to you or that compelling study you just read. Maybe it’s befriending that mom who looks lonely at the park. Helping a struggling mom means putting yourself in her shoes (or, more accurately, her slippers because she probably hasn’t left the house in a while). It’s seeing her need and making an honest effort to help, not shaming her when she reaches the end of her rope. We should stand in solidarity with her because, in reality, we are all that struggling mom. It’s just more visible for some than for others.